Aquaria (W) MA PResin Aq. 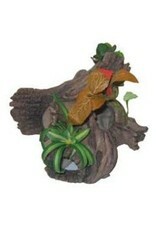 Orn., Bog Wood, Med-V - Rick's Pet Stores Inc.
Marina Bog Wood ornaments are attractive natural-looking features that add beauty and functionality to aquariums. Each Bog Wood ornament consists of a variety of realistic-looking plants rising from an intricately-designed piece of bog wood. The life-like replicas blend in naturally in any aquatic environment and provide fish with safe and reliable havens to swim and hide. The supple plants sway in the current, adding to their realistic impression. 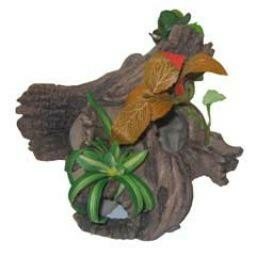 The plastic plants and polyresin bog wood are non-toxic and will not affect water chemistry. Medium: 26.5 x 12 x 11.5 cm (10.4 x 4.7 x 4.5 in).